Hannibal is home to state-of-art healthcare facilities staffed by caring professionals. Hannibal Regional Healthcare System is the parent company of Hannibal Regional Hospital, Hannibal Regional Medical Group and Hannibal Regional Hospital Foundation. It exists to lead, support and encourage activities which advance physical, social, intellectual, spiritual and emotional health through provision of visionary leadership, financial and other assistance to its subsidiaries. Hannibal Regional Hospital is one of northeast Missouri’s largest and most sophisticated acute care hospitals and is a cornerstone of community-based care in the region. The goal of Hannibal Regional Hospital is to provide exceptional healthcare services for a better life and that goal is achieved through a combination of medical professionals, team members, auxiliary members and engaged Board of Directors that represent the community. Awarded the prestigious Missouri Quality Health Center Leader Award in 2003, the Hospital also boasts in being the number one Home Healthcare Service in the nation for 2006, 2007 and 2010; As well as being a recipient of Healthgrades Outstanding Patient Experience Award for 2013. This award recognizes Hannibal Regional Hospital as being among the top 10% in the nation for providing outstanding performance in the delivery of patient care. In recent years the Hospital has undergone an expansion that has tripled the size of the Emergency Services Department and added a Medical Office Building which was constructed to house the growing number of physicians of the Hannibal Regional Medical Group. This growth enhances our ability to achieve our mission, and to proudly proclaim and demonstrate our values of respect, integrity, service and excellence. The Hannibal Regional Medical Group is a growing multi-specialty physician group continuing to expand primary and specialty care services to meet the health needs of northeast Missouri and west central Illinois residents. Hannibal Regional Medical Group is mission driven and has committed to serve health interests in a manner that values, respects and benefits all. The healthcare world is always changing and evolving and Hannibal Regional Medical Group is no different. Through its growth in coverage and services, Hannibal Regional Medical Group is realizing its vision of being the healthcare provider of choice and the definitive resource for healthcare expertise. Currently we have locations in Hannibal, Canton, Monroe City, Shelbina, Mexico and Pittsfield, Illinois. The Hannibal Clinic is a multi-specialty clinic located on the Hannibal Medical Campus. The clinic started as a dream of four doctors in 1957 and has grown with the needs of the community. 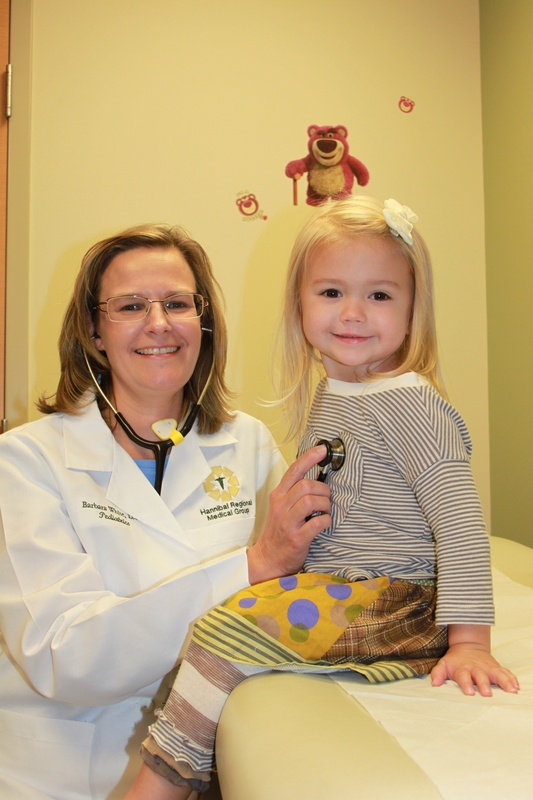 The Hannibal Clinic offers more than 50 physicians practicing in 21 different medical specialties. Services are also offered through satellite locations in Palmyra, Vandalia, Monroe City, Center and Bowling Green, Missouri. Oncology services are provided through the James E. Cary Cancer Center, a combined effort of the Hannibal Clinic and Hannibal Regional Hospital. The Hannibal Clinic strives to offer its patients a first rate healthcare experience, through its technology as well as its caring physicians and nursing staff. Northeast Missouri Ambulatory Surgery Center is a state of the art health services facility specializing in outpatient surgical and endoscopy care. Northeast Missouri Ambulatory Surgery Center’s medical staff is comprised of more than 20 highly skilled physicians with training in 11 different medical and surgical subspecialties. Northeast Missouri Ambulatory Surgery Center is fully accredited by the Accreditation Association of Ambulatory Health Care (AAAHC). Hannibal has a wide selection of dentists, pharmacies, physical therapy, chiropractors and wellness-related providers, working together to provide the best care possible. See our additional healthcare providers here.